Information is Beautiful released their visualization awards shortlist a couple days ago and if you like visual stuff you will want to check it out. Dozens of excellent visuals divided into six categories. It's well worth spending some time exploring so check it out when you get a chance. I have not scrutinized them all just yet but here are some of my favorites so far (click to enlarge). I love the concept of this one. Simple and brilliant. I really like the interactive ones. 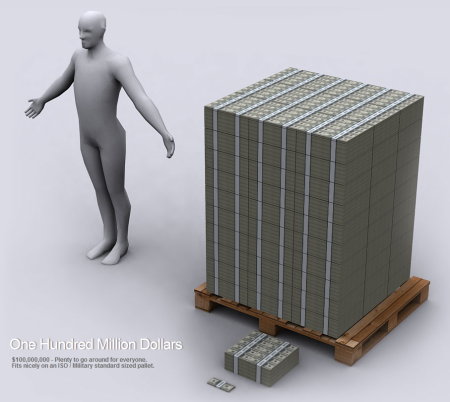 I was amazed at how small our debt payments and foreign aid were as overall percentages of the total. 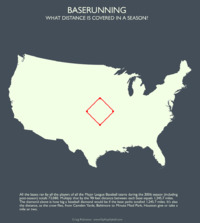 This visual makes it easy to establish the fact that you should stay out of Central Park (at night I would imagine). This graphic would be interesting if you could adjust based on time of day or even a time range. I had higher hopes for these. Don't get me wrong, they are interesting; I've just seen better. This one is about Apple. Ok, these are going to be fun to explore. I think it is good to consume these and think about how you can use them with students. Students need to learn how to consume data when it is presented visually and they need to gain proactice in creating data visuals. Using some of the tools listed on the Tools or Website list or reverse engineering how some of these others were created and using those toos. So how do these inspire you? What can you do with them? Tagged with design, visual, visualization. August 24, 2012 by Brett Sparrgrove. I can't get enough of these Olympics. I'm staying up way too late to watch events where I already know the results. I'm watching (and loving) events that if they are on any other time of year I don't even tune in* (hello rowing, volleyball, field hockey, etc.). In honor of these Olympic Games I bring you today's Friday Visual (which was brought to my attention by the wonderful site Very Short List but there is a more detailed article over here at Co.Design). In this set of visuals, graphic artist Gustavo Sousa uses the iconic Olympic rings to represent which continents have the most prisoners, HIV patients, McDonald's, and more. Naturally, the relative size of each ring correlates to the relevant data points. I had a couple of thoughts/issues regarding this visual (which, indecently, I like very much). 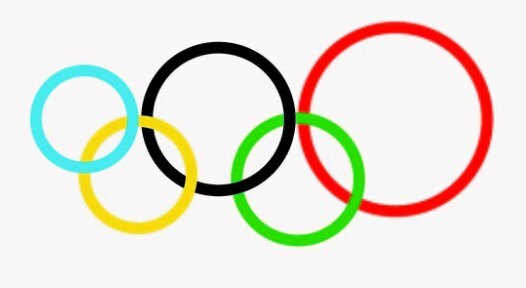 On the Olympic flag, the rings appear on a white background. Combined in this way, the six colours of the flag (blue, yellow, black, green, red and white) represent all nations. It is a misconception, therefore, to believe that each of the colours corresponds to a certain continent. This would be a great activity to do with students. Have them figure out which colors represent which continent and have them back up why. 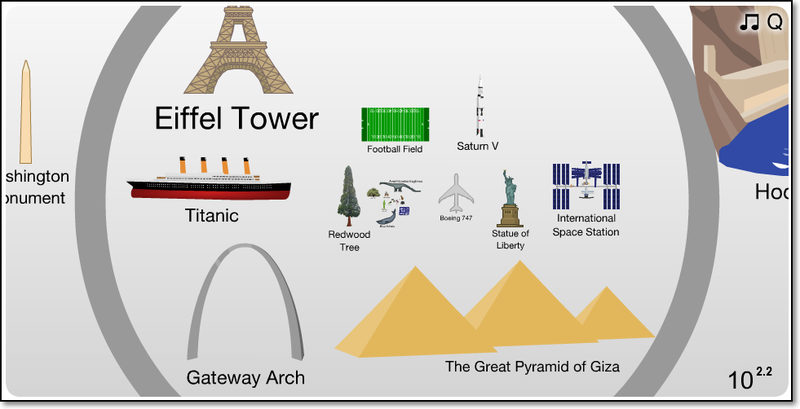 Although, it's also a good lesson to teach students to label their visualizations. My second issue is that the creator (Mr. Sousa) provides no source as to where he procured the data to create this visualization. Now, I have no reason not to believe the data as he visualizes it but call me old fashioned, I like to see the source. This would be another good conversation to have with your students. Finally, I was ready to call BS on the gun ownership visual. After all, if there is one thing that the United States is good at it is owning guns. So, the visual should be heavily skewed red. But, I did some research on this too and... we are good at owning guns. Reuters says we (i.e. civilians) own 270 million of them. However, there are 875 million civilian owned guns worldwide (!). Again, who knew... so, this visual appears to be accurate, too. So, other countries are gun crazy too... but we totally rule at McDonald's. As always, I'm curious what you think about this one. *Let's be honest, these competitions ARE only televised once every four years for good reason. Tagged with olympics, visual, visualization. August 3, 2012 by Brett Sparrgrove. You've got to hand it to Seth Godin, he often makes you think. A few days ago he had a post titled "The Map Has Been Replaced By The Compass" where he makes the case that the compass is more important than the map because the usefulness of the compass never changes. To me what he is really talking about is uncertainty. In an uncertain world, with an uncertain future, you better make sure you are prepared with the right tools and skill set for whatever the future has in store for you. As educators, our job is to prepare students for success in this uncertain world. I think the list is really great. I don't mean to imply that having an academic skill set is not important, because it is. I just think that we emphasize academic skills to the detriment of the applied skills. We need to do both and we need to do so in a balanced manner. 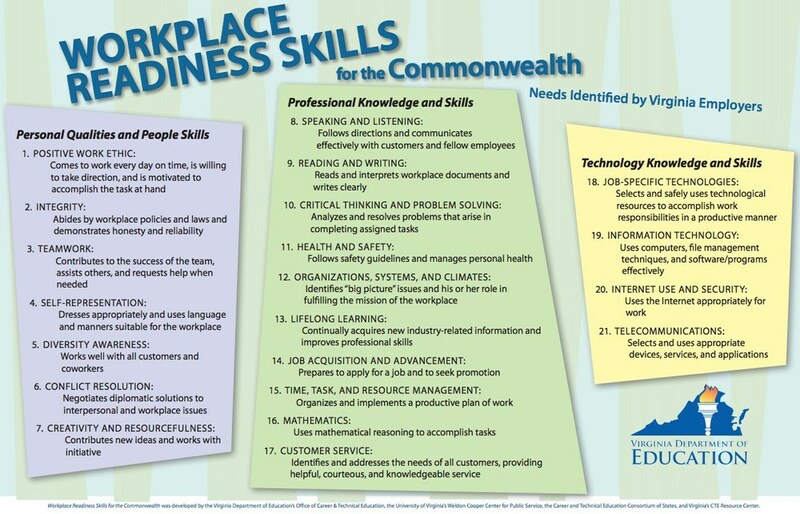 I hope that as some of the innovation-stifling aspects of NCLB (where declarative knowledge is king) are finally coming to an end that teachers can get back to creating environments where students will be able to acquire some of these applied skills. Tagged with godin, learning, reform. This recent article over on GOOD Education made me think a lot about the symbols we use to define teaching. To illustrate, try this... what visual symbols pop into your head when you think about teachers and the teaching profession? If I had to venture a guess it would be things like an apple, a one room schoolhouse, and a chalkboard with 2+2 or ABC written on it, right? Do a Google Images search on teacher or teaching and you will see that you're in good company. Could ditching these ubiquitous symbols of the teaching profession help reframe the way we think about teachers, teaching and education in general? That's the goal of Teach, a rebranding effort by New York City-based design firm Hyperakt to create "a new visual vocabulary" that more accurately reflects the sophisticated work 21st century educators do. be a part of reframing the intellectual and creative work teachers do...to capture the excitement and magic of activating the potential that is innate in every student. Whoa, I like the sound of that. Did They succeed? I selected a few of their designs that caught my eye but there are many more over on Teach website (they are encouraging teachers to download and use the images in the classroom). I think the designs are wonderful and certainly plan on printing some of them out. However, I'm left with this lingering question (the skeptic in me always comes out to balance my hope). Do these designs accurately represent the current state of teaching and education or are they idealistic representations of where so many of us want teaching to be? We want education to produce forward-thinking, globally connected, creative, analytical individuals, but is this what is actually happening? Or is the classroom of today, despite all the promises of modern teaching and digital tools, still more like the classroom of 50 years ago where the apple was the symbol of teaching and the teacher was the center of the classroom? Changing the symbols we use to represent our profession is a worthy undertaking, but it might be like a new coat of paint on an old, junk car. Until the underlying structure is rethought, redesigned, and rebuilt, what's the point? I do like the fact that the symbol is abstract, it projects the concepts of connectedness, relationships, and process. I think that this captures a huge part of what education (learning) should be all about and it allows for a visual vocabulary that reflects the multidimensional role of the teacher in a way that an apple simply cannot. Basically, these designs have deep meaning. I'm less thrilled with the connect the dots metaphor. In this classic children's game, the dots are pre-printed on the page, and the image is already determined. If children don't connect the dots in the presribed order, they won't be successful. Education is not about teachers leading children to pre-determined places, it's about children creating their own paths, it's about ambiguity and vagueness and how to handle both. Education, like learning itself, is not a simple connect-the-dots activity. All in all, I love the idea of re-branding the profession. In many ways this is way overdue. Teaching today can be dynamic, creative, active, interconnected, bold and exciting. Now, if only our federal policies could be reworked to capture the same messaging. Again, check out the great printables on their website and make sure to look at their presentation to really get a glimpse at how they worked through the thinking and design process (this would be useful to show students). Is a makeover needed? Will a makeover work? Who is the customer/audience for these "advertisements"? What would you change about the designs? Assuming that these designers have not been teachers, how do you think they did? Do you think that these designs capture what it means to be a teacher? Are they worthy of replacing the traditional symbols of the teaching profession? Finally, I think that it would be a great project-based learning activity for students to periodically rethink various cherished symbols. Maybe you could even set students to the task of rebranding education from a student point of view. Tagged with reform, teaching, visual. February 12, 2012 by Brett Sparrgrove. 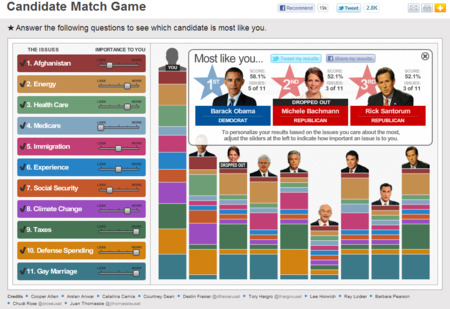 Called the "Candidate Match Game", this visual has you answer 11 questions to find the candidate "most like you..." I will say that it is pretty basic and I found myself wanting for more answer options on some of the questions (you know, some of them just didn't accurately portray my beliefs). 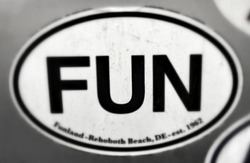 However, it is still fun and you should give it a try... no one will hold you to your choice. Use the sliders on the left hand side to "weigh" the importance of the issues. The size of the colored bars indicate the strength of each candidate's match on the issues. Unfortunately, there is no Charles Nelson Reilly... sorry. Tagged with interactive, politics, visual. January 13, 2012 by Brett Sparrgrove.